LEIDEN – Children, or kinder, has been the watchword these days in this Dutch city, where Leiden University’s been hosting a whirlwind of activities to mark the 25th anniversary of the Convention on the Rights of the Child. A film festival, moot court competition,* art exhibit, and commemoration by Princess Beatrice were just some of the events. 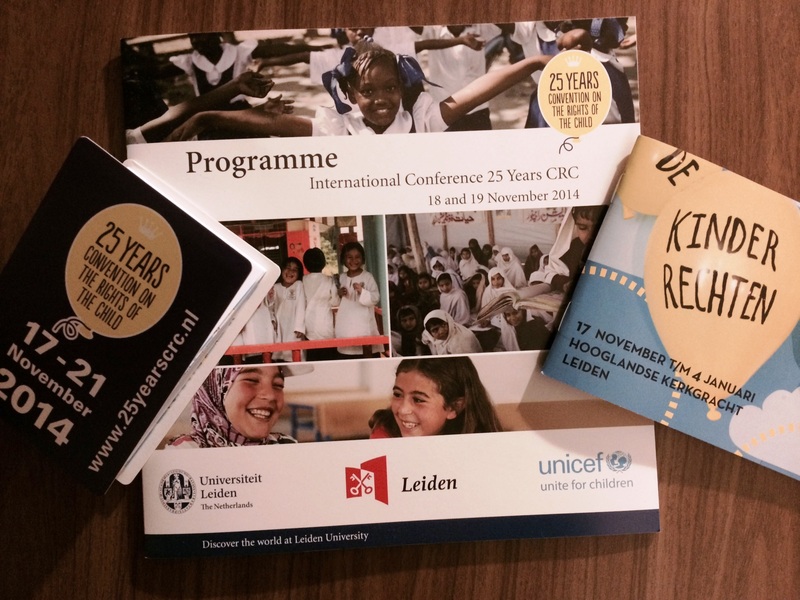 I was honored to take part in “25 years CRC,” a 2-day conference that brought to Leiden hundreds of children’s rights experts, from Auckland to Zagreb and many places in between. Plenary presentations included Corinne Dettmeijer-Vermuelen‘s fascinating comparison of U.S. and Dutch laws against online sexual exploitation of children. Then scholars and practitioners met in early a dozen parallel sessions, where they tackled an array of topics. The session I chaired featured: Claire Achmad‘s outline of her Ph.D. dissertation, a children’s rights approach to regulation of international commercial surrogacy; Mies Grijn‘s anthropological account of child marriage practices in a village in Java, Indonesia; and Emily Waller‘s discussion of children, sexual violence-related stigmatization, and reparations. A common thread in these talks was the difficulty of drafting, adapting, and enforcing laws meant to be applied in societies marked by changes and cultural variations. In a session on children and armed conflict, Olga Jurasz explored the treatment of children in cases before the International Criminal Court. 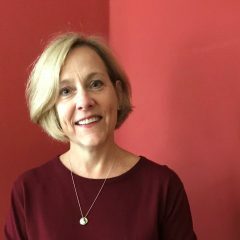 Aurélie Roche-Mair followed suit, with an emphasis on the interrelation between the Children’s Convention and the Rome Statute of the ICC. Concluding was Gloria Atiba-Davies, head of the Gender and Children Unit in the ICC Office of the Prosecutor. Together, their presentations underscored the legal and practical challenges to achievement of the goal of ending wartime crimes against children – a goal to which ICC Prosecutor Fatou Bensouda recommitted her office, in her October speech on “Children & International Criminal Justice,” and in a statement yesterday that marked the Convention’s anniversary. It’s a goal to be pursued as her office continues consultations with experts, in the course of developing its Policy Paper on Children. * Congratulations to the Students of the Law Society of Ireland for winning 1st place at yesterday’s finals. And kudos to Leiden Professors Ton Liefaard and Julia Sloth-Nielsen for the vision and hard work that produced this amazing week. ICC Prosecutor on "Children & International Criminal Justice"